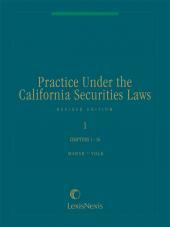 Detailed coverage of all aspects of the California Securities laws. 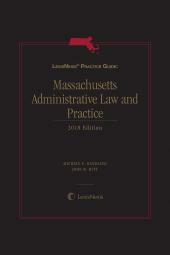 The 2000 thru 2011 annual updates for this publication were reviewed by R. Roy Finkle. 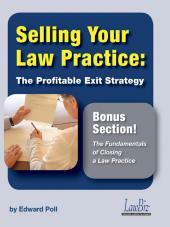 Mr. Finkle’s practice has emphasized corporation, partnership, securities, and commercial law. His business experience includes acquisitions, mergers, exchange offers, tender offers and institutional, venture capital, and private financing transactions, as well as the formation and operation of corporations, limited liability companies and joint ventures. He also advises businesses about, and structures, commercial transactions. Mr. Finkle’s securities law experience includes registrations, private placements, Securities Exchange Act compliance, and Blue Sky qualification and compliance. His partnership law experience includes structuring and drafting general and limited partnership agreements and related transactional documents. He also handles complex securities law and business fraud matters, defense of business related claims and lawsuits, probate and commercial litigation, and defense of attorney and accountant malpractice actions. Mr. Finkle also serves as an expert witness and consultant in business related matters. Mr. Finkle received his Juris Doctor degree from the University of California at Los Angeles (1973), and also holds a Master of Science degree in International and Comparative Management from the University of California at Los Angeles, School of Management (1974). Prior to that, he received a Bachelor of Arts degree in Chemistry from San Diego State University in 1968. He is a member of the State Bar of California. .
Mr. Finkle was a friend and protégé of the late Harold Marsh and worked extensively with Professor Marsh over the years. Keith Paul Bishop has worked with Mr. Finkle since 2009 in reviewing the updates. Mr. Bishop is now a partner at Allen Matkins Leck Gamble Mallory & Natsis LLP in Irvine, California. Mr. Bishop is a shareholder in the Irvine, California office of Buchalter Nemer. 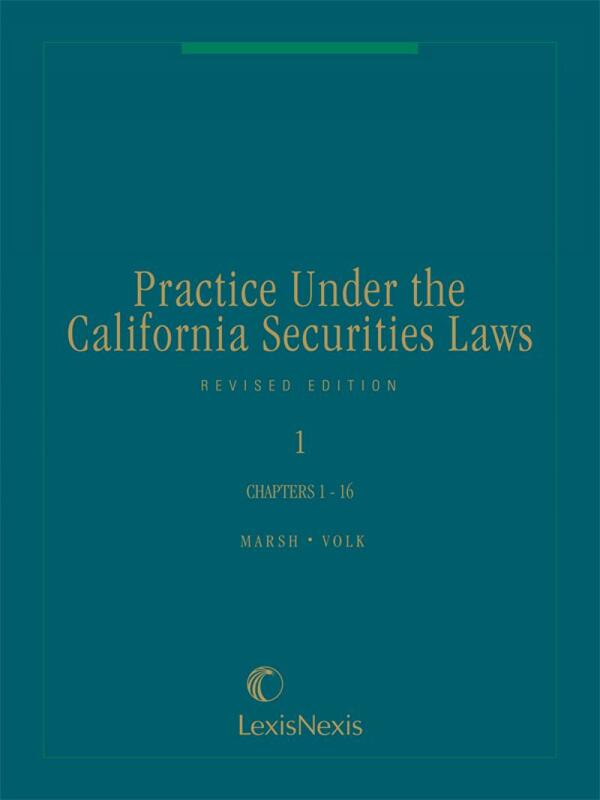 He focuses his practice on state and federal securities laws, corporate law, investment adviser and financial services regulation, and California administrative law.  He regularly advises clients on compliance, licensing, regulatory and civil enforcement issues. Mr. Bishop has represented companies in a wide range of corporate transactions, including mergers, tender offers, contested proxy and consent solicitations, public offerings, private placements, and purchase and sale of assets. He has also represented clients in connection with internal corporate investigations. His clients have included companies listed on the New York and Nasdaq Stock Exchanges as well as nonprofit and closely held businesses. Mr. Bishop has held several significant California government positions including Commissioner of Corporations for the State of California; Deputy Secretary for Business Regulation and General Counsel to the California Business, Transportation & Housing Agency; Interim Savings and Loan Commissioner for the State of California. In 1991, Mr. Bishop was appointed by the Rules Committee of the California Senate to the California Senate Commission on Corporate Governance, Shareholder Rights and Securities Transactions. He is a former Co-Chairman of the Corporations Committee of the Business Law Section of the California State Bar and former Chairman of the Business and Corporate Law Section of the Orange County Bar Association. He has also served as a member of the Executive Committee of the Business Law Section of the California State Bar and as the California liaison to the American Bar Association’s Committee on the State Regulation of Securities. Mr. Bishop is an adjunct professor of law at Chapman University Law School where he has taught classes in corporate governance and commercial law. Mr. Bishop received his Juris Doctor degree from the University of Southern California and his Bachelor of Arts degree from Harvard University.